Do you know a deserving Veteran who resides in Clayton County? Nominate him or her to be the Veteran of the Month! In conjunction with our new initiative Armed Forces Senior Veterans, we are accepting nominations year-round. Submit your nomination today! Clayton County Armed Forces Senior Veterans (AFSV) was founded on June 22, 2017. The committee is comprised of Senior Center members who have served in the U.S. Military, their spouses, advocates for Veterans, Veterans from the community, representatives from Clayton County Board of Commissioner Veterans Advisory Board, Senior Services employees who are Veterans and Senior Services Department Administration. AFSV’s purpose is to plan and implement programs and initiatives that address the many challenges Veterans and Senior Veterans face in Clayton County. 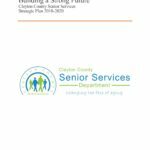 Clayton County Senior Services programming staff, in conjunction with other Veteran organizations, will be responsible for the implementation of AFSV programs. Promote and increase awareness, accessibility and use of Veterans Services at respective Clayton County Senior Centers. Support other Clayton County Veteran organizations to unite Clayton County Senior Veterans and Non Senior Veterans. Educate and unite Clayton County Seniors and its community on Veteran services and Veteran events. Generate community involvement and outreach in collaboration with civic organizations. Plan meaningful programs for Veterans in Clayton County. The nominee must reside in Clayton County and must have received an honorable discharge from the U.S. Military. 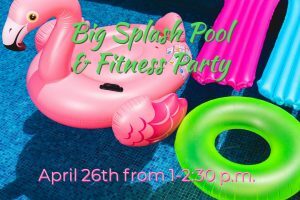 Nominees of all ages are welcome. Honorees will be recognized for significant public service contributions made at the local, state or national level and by excellence achieved through action above and beyond the call of duty. Nominees should also have made significant contributions in volunteer work in support of Veterans, the military and the community. In addition to information requested on the nomination form, please provide some form of military service (I.E. ; Current Military ID Card, Discharge Orders) as well as a brief written summary of the nominee’s achievements; to include: (a) a description of significant accomplishments, including dates, (b) information concerning military service, and, (c) a list of military awards and decorations received by the nominee. Nominations will be evaluated on the scope and impact of a nominee’s achievements and the extent to which his/her efforts benefit and provide inspiration to their community and other Veterans. Please document significant achievements and accomplishments, especially those made after the nominee’s military service. 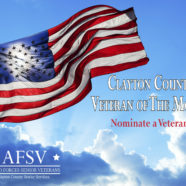 Nominations will be reviewed and the recipients will be ultimately chosen by the Clayton County Armed Forces Senior Veterans. Nominations are accepted at all times throughout the year.